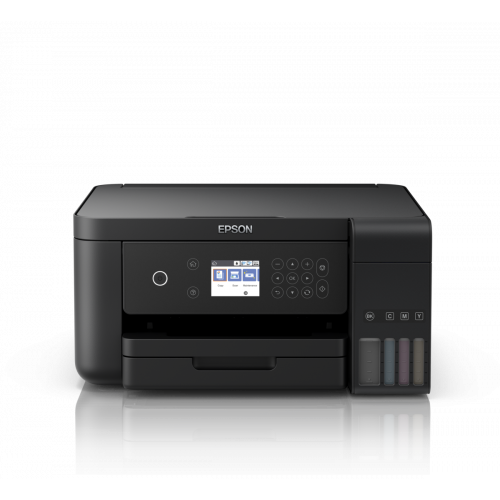 Discover how to save up to 90% on printing costs with this cartridge-free 3-in-1 inkjet with Wi-Fi, Wi-Fi Direct and Ethernet. Delivering an ultra-low cost per page, the included three years' worth of ink can print up to 14,000 pages in black and 11,200 in colour. 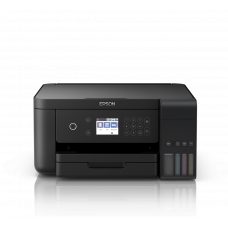 It's designed for office requirements with a PrecisionCore printhead,15ppm print speeds, double-sided printing and 150-sheet front tray. With the ink tank housed at the front, EcoTank ITS is more compact and easier to use than ever before. Protecting you against leaks and spills, it features an enhanced ink filling system engineered to minimise the risk of spills and mess. The new bottles incorporate a mechanism that ensures only the right tanks are filled with the corresponding colour. Get more prints between refills. Thanks to the ink included in the box, it can print up to 14,000 pages in black and 11,200 in colour.